Match ends, Cruzeiro 3, Chapecoense 0. Second Half ends, Cruzeiro 3, Chapecoense 0. Foul by Bruno Silva (Chapecoense). Attempt missed. Bruno Silva (Chapecoense) right footed shot from outside the box is high and wide to the right. Assisted by Héctor Canteros following a set piece situation. 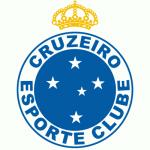 Edilson (Cruzeiro) is shown the yellow card for a bad foul. Bruno Pacheco (Chapecoense) wins a free kick on the left wing. Héctor Canteros (Chapecoense) is shown the yellow card for a bad foul. Rafinha (Cruzeiro) wins a free kick on the left wing. Foul by Héctor Canteros (Chapecoense). Corner, Chapecoense. Conceded by Fábio. Offside, Cruzeiro. Edilson tries a through ball, but Thiago Neves is caught offside. Attempt blocked. Lucas Silva (Cruzeiro) right footed shot from outside the box is blocked. Hand ball by Rafinha (Cruzeiro). Attempt missed. Leandro Pereira (Chapecoense) right footed shot from outside the box misses to the left. Assisted by Yann Rolim. Attempt missed. Vinícius Silva (Chapecoense) left footed shot from outside the box is too high. Assisted by Yann Rolim. Attempt saved. Egidio (Cruzeiro) left footed shot from outside the box is saved in the centre of the goal. Vinícius Silva (Chapecoense) wins a free kick on the left wing. Attempt missed. Héctor Canteros (Chapecoense) right footed shot from long range on the right is high and wide to the right. Attempt missed. Henrique (Cruzeiro) header from the centre of the box is too high. Assisted by Thiago Neves with a cross following a corner. Substitution, Cruzeiro. Lucas Silva replaces Ariel Cabral. Corner, Cruzeiro. Conceded by Rafael Thyere. Substitution, Chapecoense. Vinícius Silva replaces Agustín Doffo. Attempt missed. Thiago Neves (Cruzeiro) right footed shot from outside the box is high and wide to the right. Assisted by Raniel. Substitution, Chapecoense. Yann Rolim replaces Barreto. Barreto (Chapecoense) wins a free kick in the defensive half. Robinho (Cruzeiro) wins a free kick on the right wing. Attempt missed. Agustín Doffo (Chapecoense) header from the centre of the box is too high. Assisted by Héctor Canteros. Attempt saved. Eduardo (Chapecoense) left footed shot from outside the box is saved in the centre of the goal. Thiago Neves (Cruzeiro) wins a free kick in the defensive half. Attempt blocked. Barreto (Chapecoense) right footed shot from outside the box is blocked. Agustín Doffo (Chapecoense) wins a free kick on the left wing. Attempt missed. Bruno Silva (Chapecoense) right footed shot from a difficult angle on the right is high and wide to the right. Assisted by Héctor Canteros. Dedé (Cruzeiro) is shown the yellow card for a bad foul. Bruno Pacheco (Chapecoense) wins a free kick in the defensive half. Henrique (Cruzeiro) wins a free kick on the right wing. Foul by Agustín Doffo (Chapecoense). Attempt missed. Héctor Canteros (Chapecoense) right footed shot from outside the box is close, but misses to the left. Dedé (Cruzeiro) wins a free kick in the defensive half. Attempt blocked. Héctor Canteros (Chapecoense) left footed shot from the right side of the box is blocked. Substitution, Cruzeiro. Rafinha replaces Giorgian de Arrascaeta. Substitution, Chapecoense. Bruno Silva replaces Diego Torres. 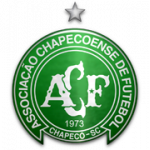 Second Half begins Cruzeiro 3, Chapecoense 0. First Half ends, Cruzeiro 3, Chapecoense 0. Attempt missed. Diego Torres (Chapecoense) left footed shot from the centre of the box is close, but misses to the right. Assisted by Héctor Canteros with a through ball. Goal! Cruzeiro 3, Chapecoense 0. Dedé (Cruzeiro) header from very close range to the bottom right corner. Assisted by Giorgian de Arrascaeta with a cross following a corner. Léo (Cruzeiro) wins a free kick in the defensive half. Attempt blocked. Eduardo (Chapecoense) right footed shot from outside the box is blocked. Assisted by Barreto. 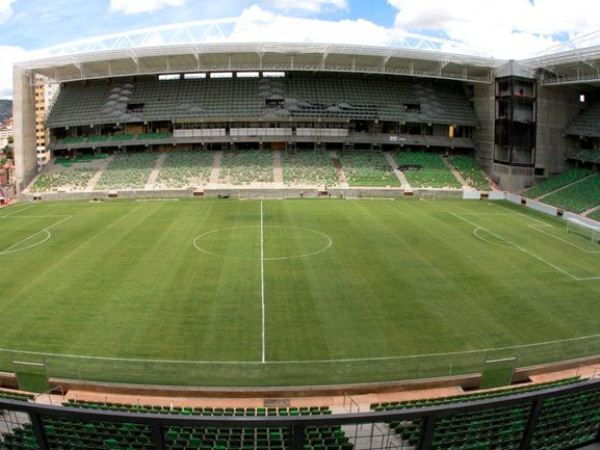 Corner, Chapecoense. Conceded by Léo. Attempt saved. Leandro Pereira (Chapecoense) header from the centre of the box is saved in the top left corner. Assisted by Bruno Pacheco with a cross. Attempt missed. Robinho (Cruzeiro) right footed shot from the right side of the box is high and wide to the right. Assisted by Thiago Neves following a corner. Corner, Cruzeiro. Conceded by Barreto. Attempt blocked. Edilson (Cruzeiro) right footed shot from the centre of the box is blocked. Assisted by Thiago Neves. Corner, Chapecoense. Conceded by Henrique. Attempt blocked. Agustín Doffo (Chapecoense) left footed shot from outside the box is blocked. Assisted by Héctor Canteros. Hand ball by Agustín Doffo (Chapecoense). Attempt blocked. Leandro Pereira (Chapecoense) left footed shot from the left side of the box is blocked. Assisted by Agustín Doffo. Goal! Cruzeiro 2, Chapecoense 0. Giorgian de Arrascaeta (Cruzeiro) header from the centre of the box to the bottom right corner. Attempt saved. Hernán Barcos (Cruzeiro) left footed shot from a difficult angle on the left is saved in the bottom right corner. Assisted by Thiago Neves with a through ball. Offside, Chapecoense. Héctor Canteros tries a through ball, but Leandro Pereira is caught offside. Foul by Thiago Neves (Cruzeiro). Barreto (Chapecoense) wins a free kick in the attacking half. Goal! Cruzeiro 1, Chapecoense 0. Thiago Neves (Cruzeiro) left footed shot from outside the box to the top right corner. Assisted by Ariel Cabral. Attempt missed. Giorgian de Arrascaeta (Cruzeiro) right footed shot from the centre of the box is too high. Assisted by Robinho with a through ball. Ariel Cabral (Cruzeiro) wins a free kick in the defensive half. Leandro Pereira (Chapecoense) wins a free kick in the defensive half. Attempt missed. Henrique (Cruzeiro) right footed shot from outside the box is high and wide to the right. Assisted by Dedé. Foul by Diego Torres (Chapecoense).